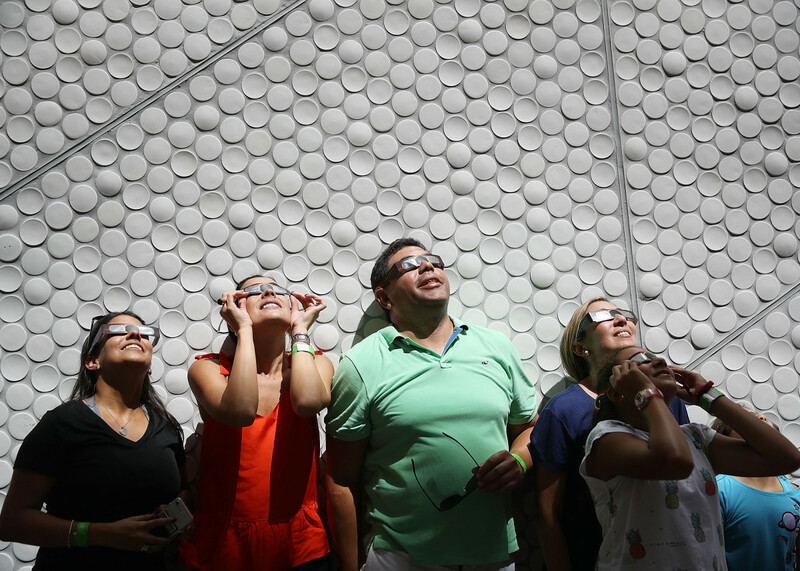 People view the solar eclipse at The Phillip and Patricia Frost Museum of Science on August 21, 2017 in Miami, Florida. While Miami was not in the path of totality for the solar eclipse, around 77 percent of the sun was covered by the moon during the peak time of the partial eclipse. Neil deGrasse Tyson, who is the closest thing we have to a national astronomer, urged Americans to put down their devices during the total solar eclipse on Aug. 21, when the sun’s path would make this rare solar phenomenon visible to a vast swath of North America. 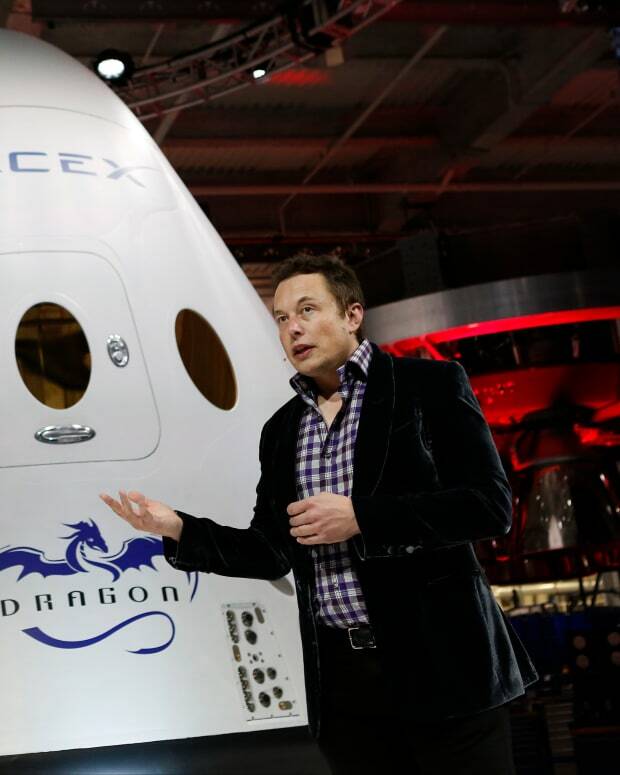 “Experience this one emotionally, psychologically, physically,” Tyson advised. Whether or not millions stowed their smart phones during this once-in-a-lifetime event on that memorable afternoon, tens of millions stopped whatever they were doing in a rare instance where most of the country was focused on having the same universal experience. 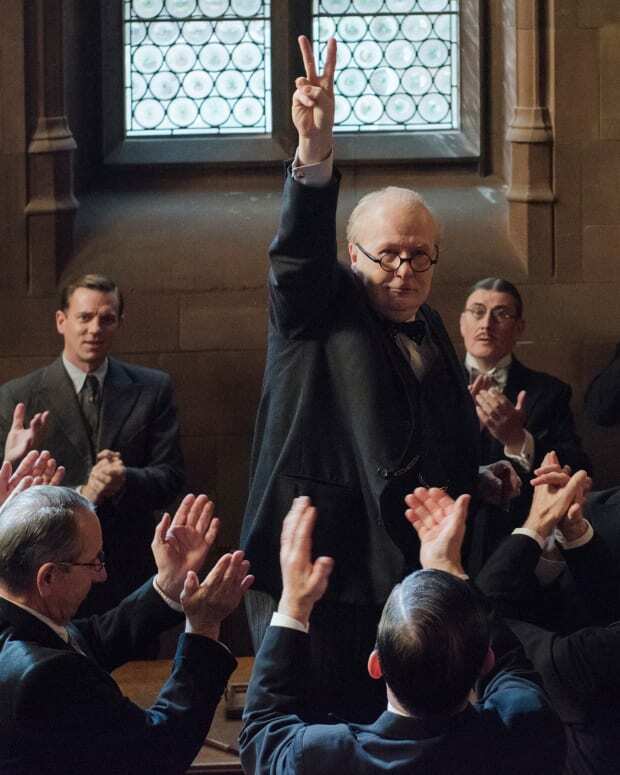 The 89th Oscars broadcasts live, February 26, 2017, on ABC. 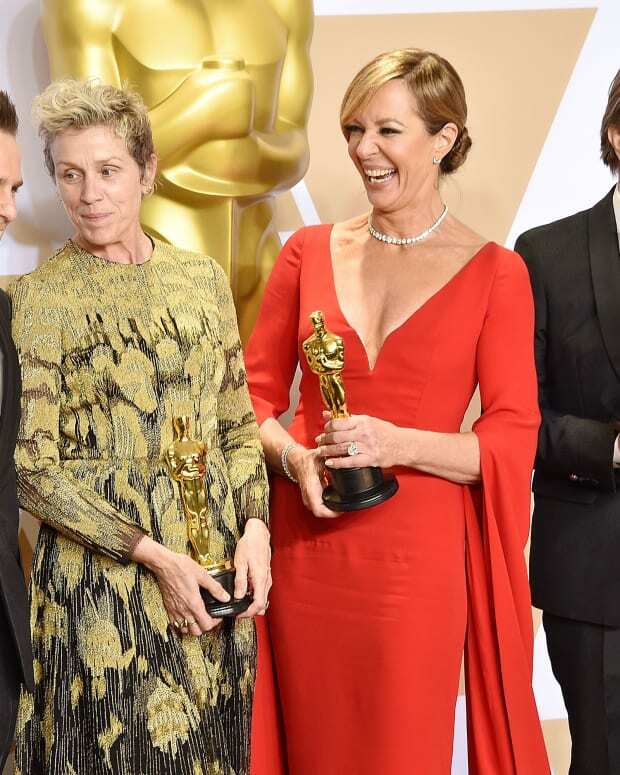 No one who stayed up late enough to see it could remember ever seeing anything quite like it before: Two Hollywood mega-stars – a rare reunion of Bonnie and Clyde co-stars Warren Beatty and Faye Dunaway – teaming up to present the Best-Picture Oscar and flubbing it in spectacular fashion. 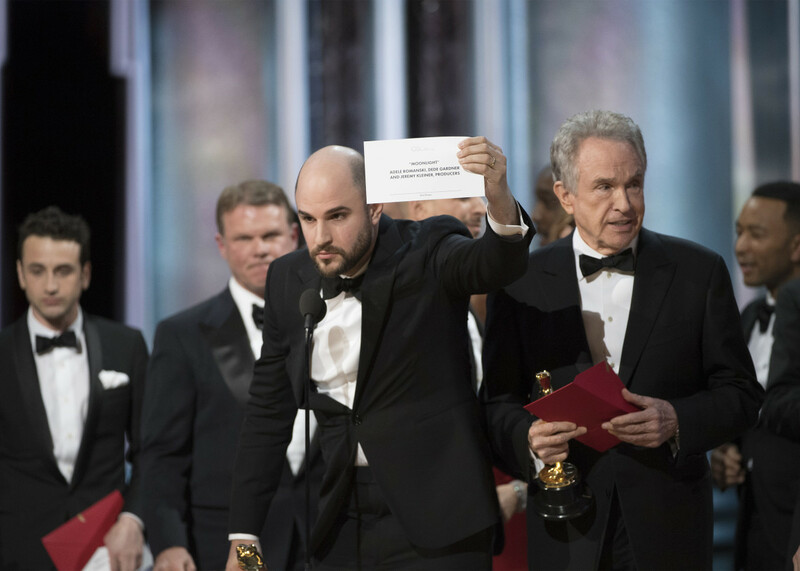 Indeed, such a thing had never happened before, particularly in the Best-Picture Oscar segment, which is the annual award show’s grand finale. 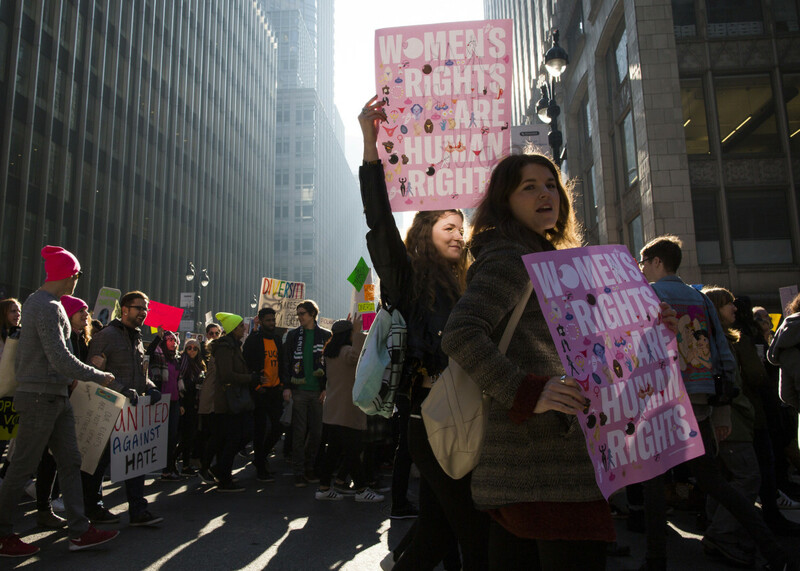 Demonstrators on Madison Avenue during a women&apos;s march, Saturday, Jan. 21, 2017, in New York. The march is being held in solidarity with similar events taking place in Washington and around the nation. 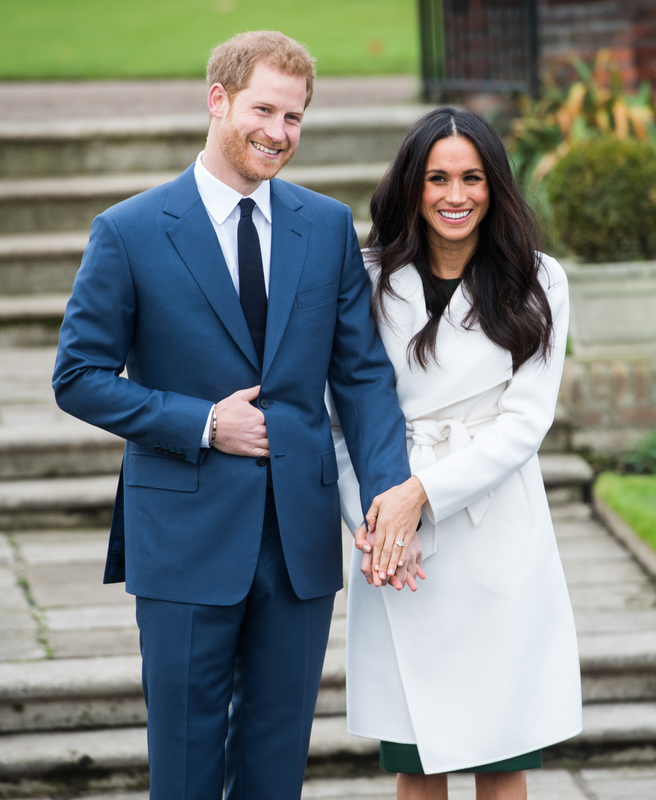 Prince Harry and Meghan Markle announce their engagement, November 2017. 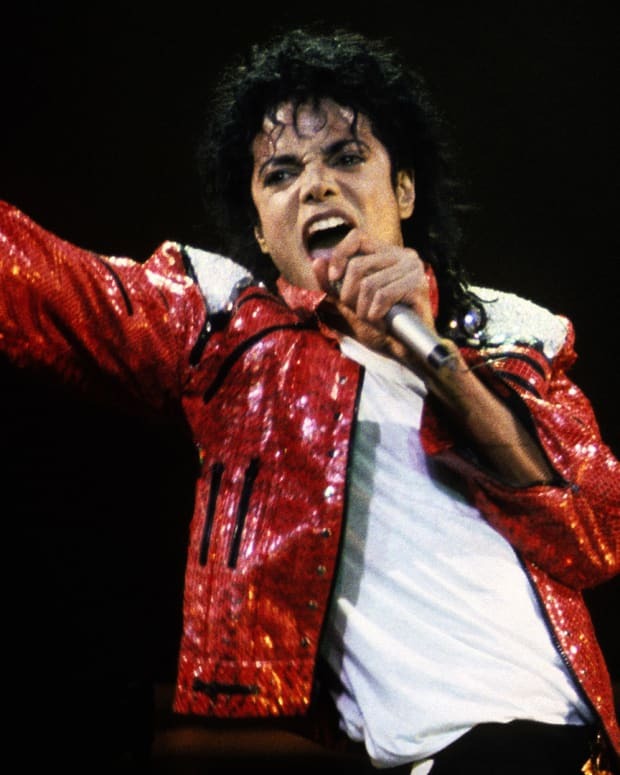 He was the most eligible bachelor in the western world. 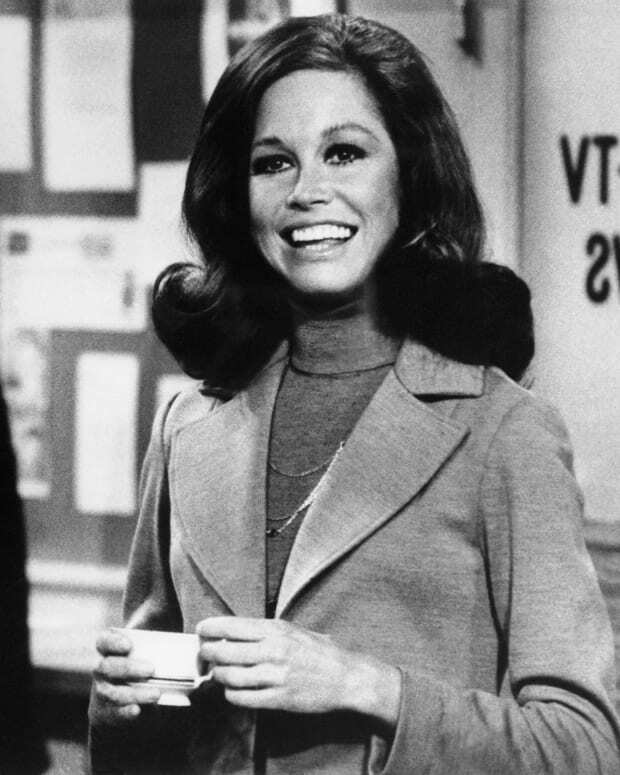 She was a cast member on a long-running lawyer show on an American TV network literally named USA. And now, like something out of a fairy tale, Meghan Markle, 36, is about to become an English princess. 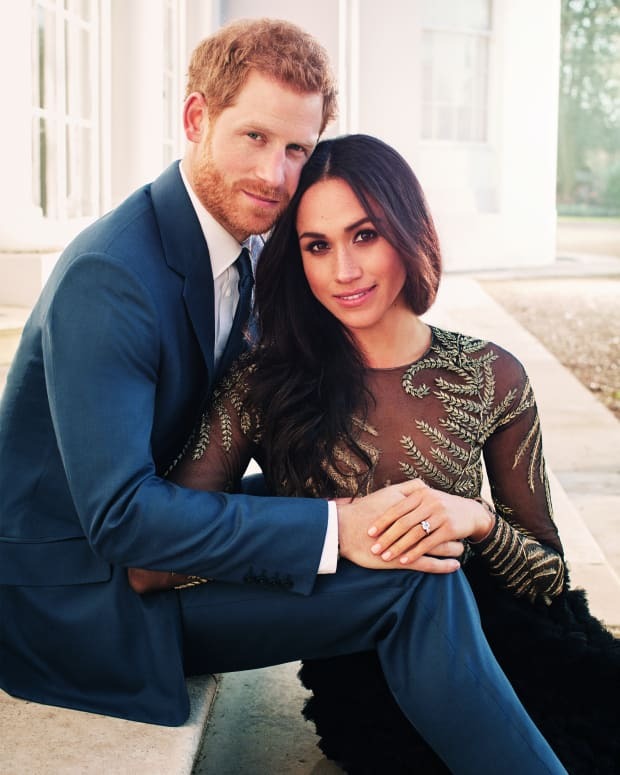 She and Britain’s dashing Prince Harry, 33, son and brother of future English kings, went public with their romance in September, just about the time that her USA Network series Suits was winding up its seventh season. The show will be back but she will not. Instead, she’s headed to the altar for a spring wedding that is already shaping up as one of the most anticipated events of the new year. 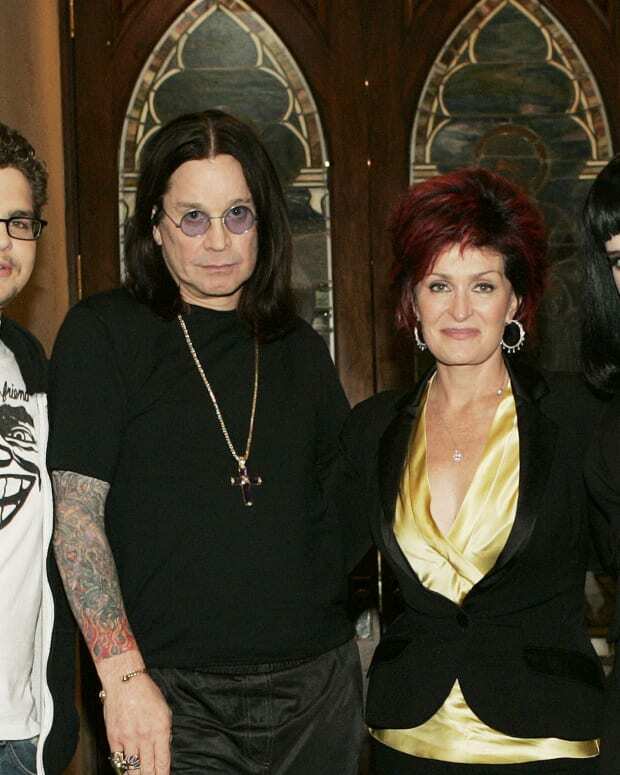 The two announced their engagement in late November and recently set the big day for May 19th of next year. Beyonce performing while pregnant with twins during the 59th Annual Grammy Music Awards on February 12, 2017, in Los Angeles, California. 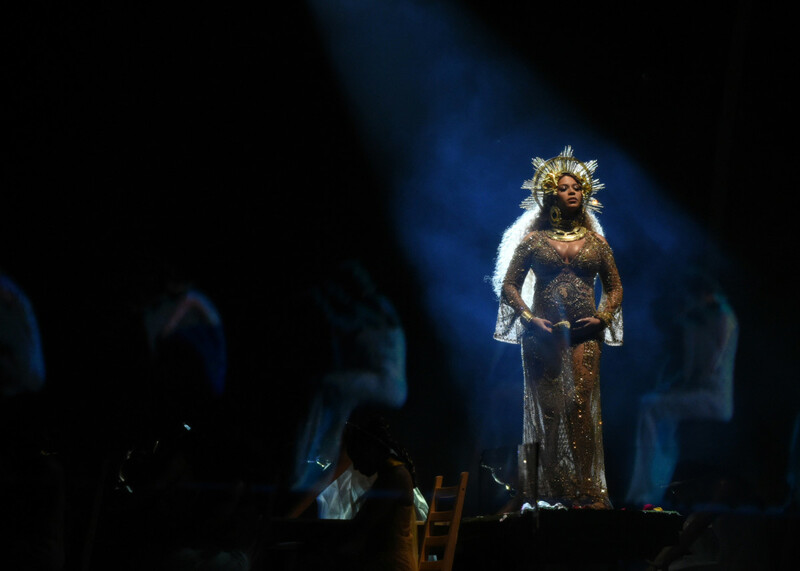 Beyoncé cemented her position as the reigning Queen of All Media – especially social media – as she kept fans in the loop during her pregnancy with twins this past year. She issued the first photo revealing her celebrated “baby bump” on Feb. 1 on Instagram. The photo had Queen Bey wearing a veil, bra and little else, kneeling in profile but facing the camera, with her hands cradling her pregnant midsection. Within a very short time, the photo garnered more than 11 million likes and more than half a million comments. The twins – a boy (named Sir) and girl (Rumi, named after a 13th century poet) – were born to Beyoncé and husband Jay Z on June 13th. A day later, the couple released a first photo of the twins and social media erupted yet again. 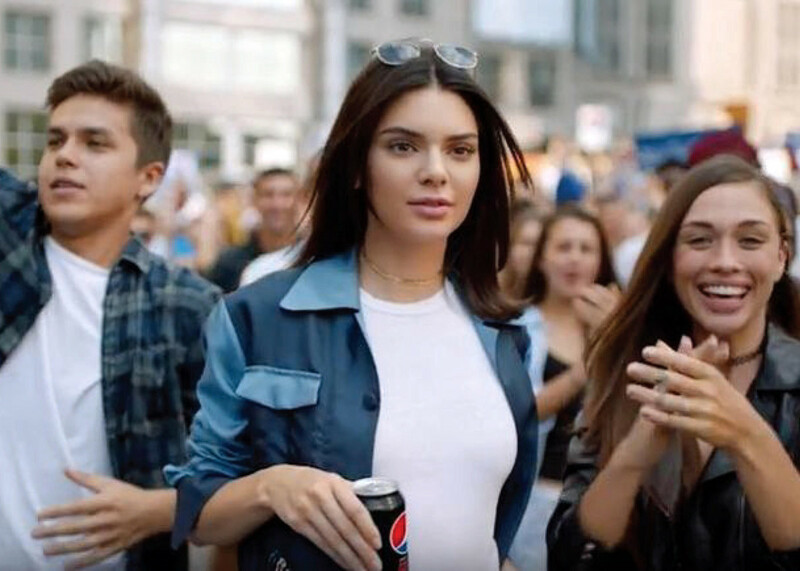 Kendall Jenner in this year&apos;s notorious Pepsi commercial. Naysayers wouldn’t accept Jenner, then 21 – a 1-percenter and member of a glamorous, famous family – in the role of supermodel turned-protester. In the spot, Jenner was seen at the center of a fashion photo shoot while outside the facility, a protest march was forming that she decides to join – all while drinking a can of Pepsi. 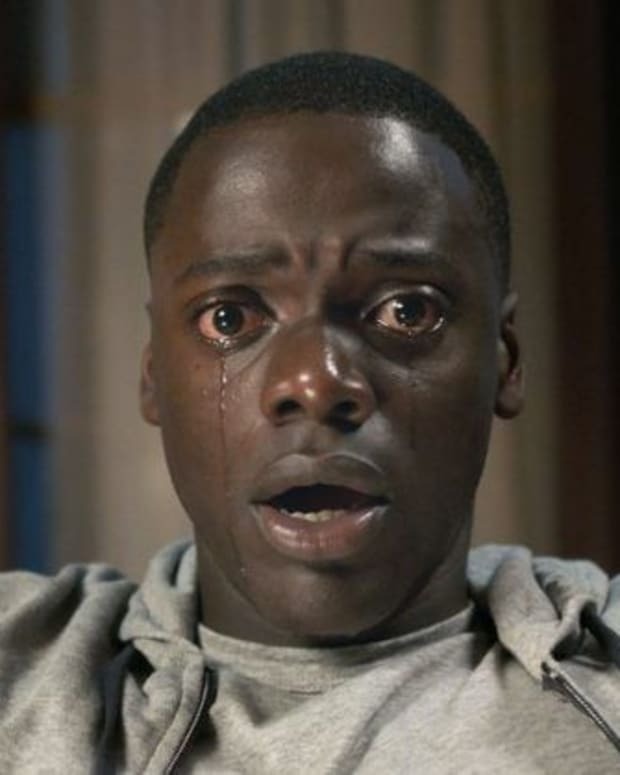 Although no actual cause for the march was identified in the ad, critics felt it resembled serious protest marches such as those staged in support of Black Lives Matter and other causes. 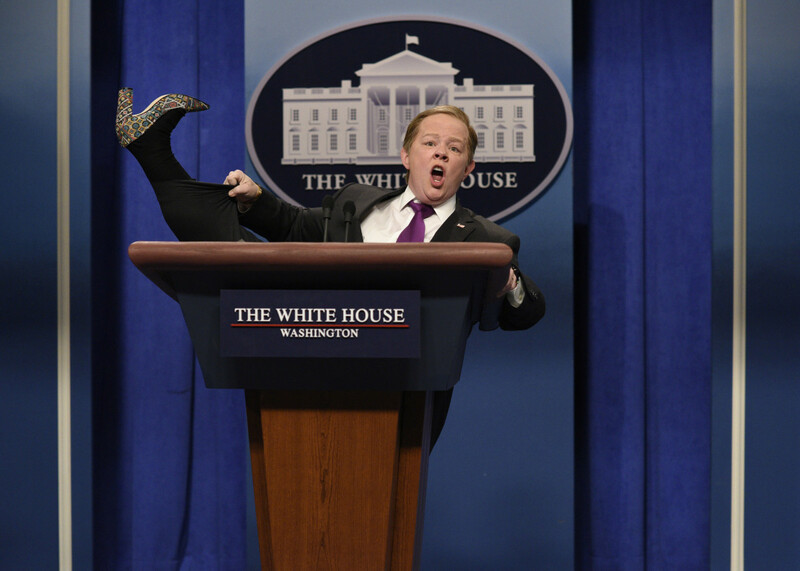 Melissa McCarthy as Press Secretary Sean Spicer during the &apos;Sean Spicer Press Conference Cold Open&apos; on February 11, 2017. 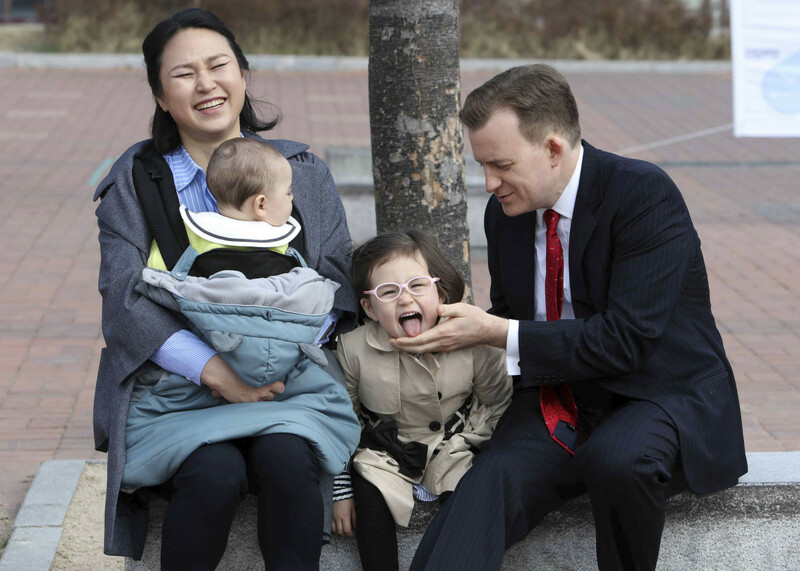 Robert Kelly, right, a political science professor at Pusan National University, waits for a press conference with his wife Jung-a Kim, left, and children James and Marion. Actress Gal Gadot arrives at the Premiere Of Warner Bros. Pictures&apos; &apos;Wonder Woman&apos; at the Pantages Theatre on May 25, 2017 in Hollywood, California. Released in June to almost uniformly rave reviews, the Wonder Woman movie had grossed more than $800 million worldwide as of Dec. 15th. 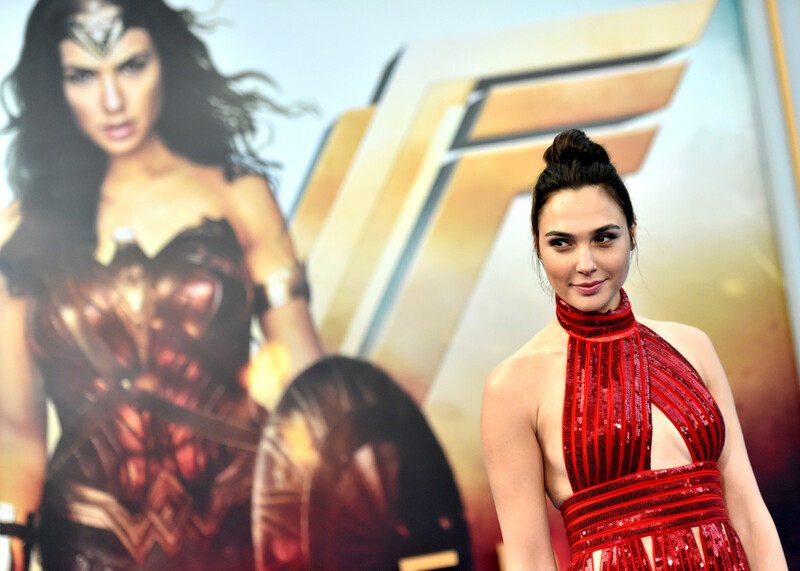 The movie turned a virtual unknown – Israeli actress Gal Gadot – into a global movie star. For a year in which female empowerment was one of the year’s ongoing top stories, the arrival of Wonder Woman was timely indeed. 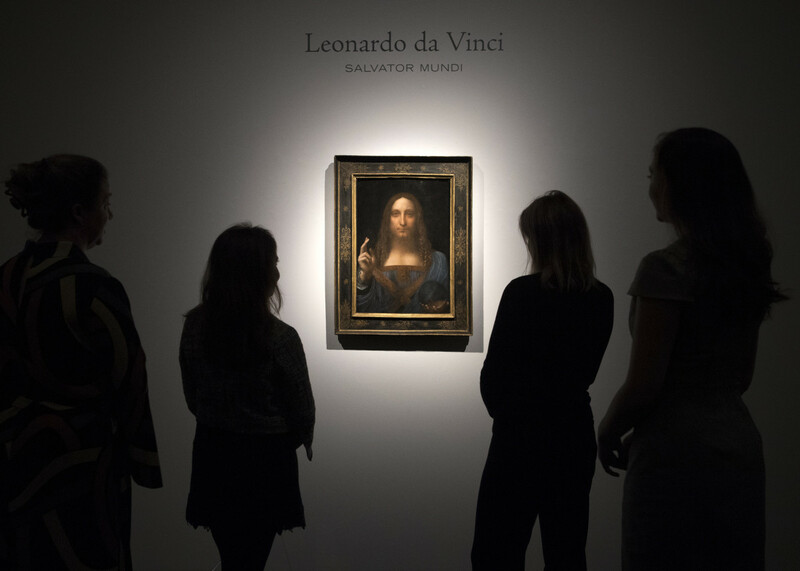 Leonardo da Vinci’s ‘Salvator Mundi’ before being auctioned off at Christies, New York. The painting sold for a record breaking $450 million.